Falvey is pleased to announce our upcoming Faculty Book Talk, featuring Silvia Nagy-Zekmi, PhD. 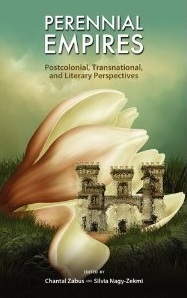 Dr. Nagy-Zekmi will speak on her new book, Perennial Empires: Postcolonial, Transnational and Literary Perspectives on Wednesday, Nov. 9, 2011, at 3:00 p.m. in the library first floor lounge. Dr. Nagy-Zekmi, director of Hispanic graduate studies and the Cultural Studies program, recently organized a two-day conference for the centenary of José María Arguedas, which featured a reception and book presentation in the library.